I’m Tom Meyers Stress coach and welcome to this weeks episode of Health Matters. 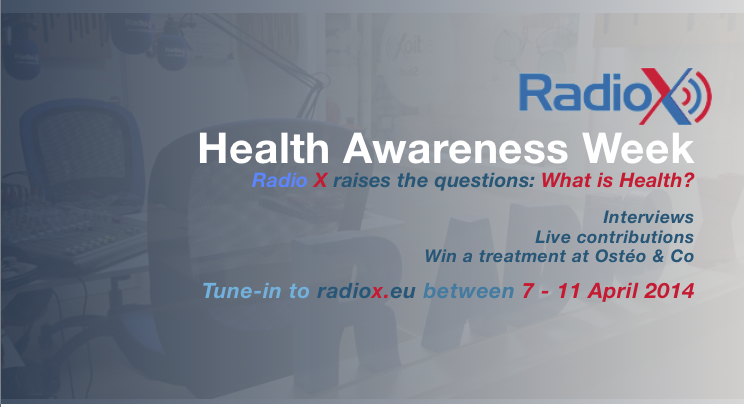 Today is World Health Day and the start of the Health Awareness Week here on Radio X. A week were the question ‘What is Health?’ will be discussed, reflected upon and given the attention it deserves. Last week I shared with you the definition of health and reflected on the element if health is a state or a process. Today lets look at the origin of the word health. Health comes from the Germanic word heil meaning being whole or wholeness. Now lets use this wholeness reference to our question ‘what is health?’ as you could reframe it to What does it mean to be whole? Mm sound even more difficult to answer then what is health well think again. Go back into memory lane and think of that day where everything flowed, where you felt one with yourself and the environment, even the Universe itself. You remember that day? Yes that day, the day where all your senses seemed more in tune and that you could handle anything that was put in front of you. That day, you – felt ‘whole’. You see that was easier then you thought at first wasn’t it? But what was it that made you feel that way? Have you ever taken the time to reflect what the elements where that made that moment so special? If not then I really recommend you to take some time to reflect on this as you might find some amazing truths about yourself. And those truths leading to knowing and being mindful of yourself are great contributors to living your wholeness and that in turn has a positive effect on your health. When you put that knowledge to good use I can assure you it will put into motion a great health promoting dynamic process. And I say this from personal experience. And yes it takes time and with our never ending to do lists it seems impossible to take that time-out but then that never ending to do list makes you ill and taking time-out makes you healthy… mmm yes eeuh… What? It’s your choice. It’s part of that human trait you call free-will that makes you responsible to do or do not. Anyway I hope you continue listening to the various contributions on ‘What is Health’ during the Health Awareness Week. Interact with us on Facebook or email. Tell us your interpretation of health and continue the conversation with your family friends and colleagues. I’m Tom Meyers health coach and contributor of though to a healthier way of living.